Long gone are the days when your Line Manager would write you a glowing reference for you to hand over to potential new employers. These days all referencing is carried out by HR and at best a reference will just tell a future employer what dates you worked at a company and the actual role you undertook. There is no longer a ‘job for life’ so it’s important you take control of your own career portfolio so to speak. One way you can take ownership and promote yourself is by using LinkedIn, it’s free and will compliment your CV in ways that a few years ago you weren’t able to do. 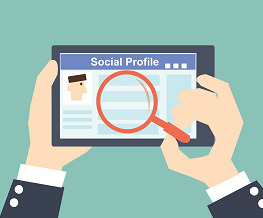 Everyone these days tend to check people out on social media – it’s become human nature; in-house recruiters, HR managers and external recruiters, when in receipt of a CV, will no-doubt also check you out online. Have a strong summary profile, including a picture of yourself (a professional head-shot). Remember it is a networking site and people like to see people! Someone once said to me ‘would you go to a networking event with a paper bag over your head?’ if ‘no’ then why have a LinkedIn profile with no picture? Ensure your CV has URL to your LinkedIn profile. Don’t publish content within your profile without checking for spelling mistakes and/or grammatical errors – you’ll be amazed how many people have their job titles spelt incorrectly.